Saturday Driffield Champ Show, super results, very happy! Tiamo second in minor puppy and qualified for Crufts 2018, Misty second in Limit class, studbooknummer qualified for Crufts for life. 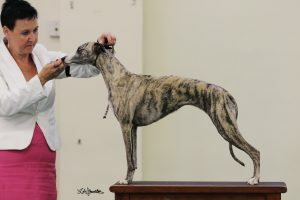 Dana was not placed and Lieve fifth in a strong open class. 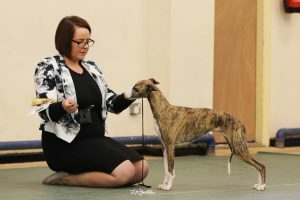 Sunday we went to the Champshow of the South Yorkshire Whippetclub. Very happy with the results this day, Tiamo not placed but shortlisted, Dana third in Yearling, Misty Fourth in Post Graduate. 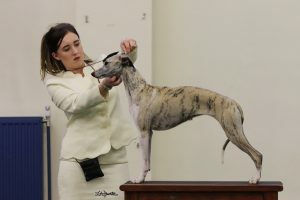 Next Post Wow, wow, wow, Tiamo 2e Best Puppy in Show!